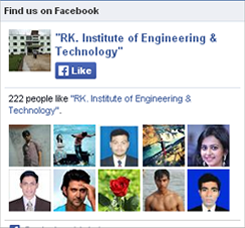 R.K Institute of Engineering and Technology an ISO 9001:2008 Certified Institution is a college under Nishakar educational Trust, which pioneered quality technical education in East India. This thorough-bred from RKIET Stable was established in 2010 at the outskirt of the City of Cuttack. Sprawling over 10.5 Acres of lush green picturesque landscape, away from the hustle and bustle of city, it provides an ideal environment for learning. Well-furnished in-campus hostels with attached baths & toilets both for ladies and gents accommodating more than 200 students. The highly motivated faculties and the homely disciplined atmosphere of the college helps in character building of students and prepare them to face ordeals of life.